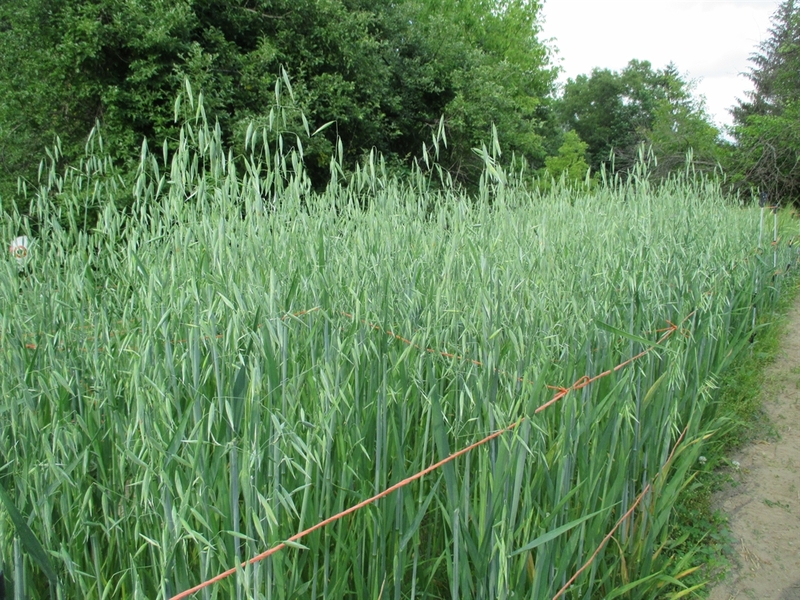 This variety of Spring oats is much easier to de-hull than most standard oats which are typically grown in the North as a nurse crop or for animal feed and straw. It is an excellent eating variety and good for rolling or as cut oats. 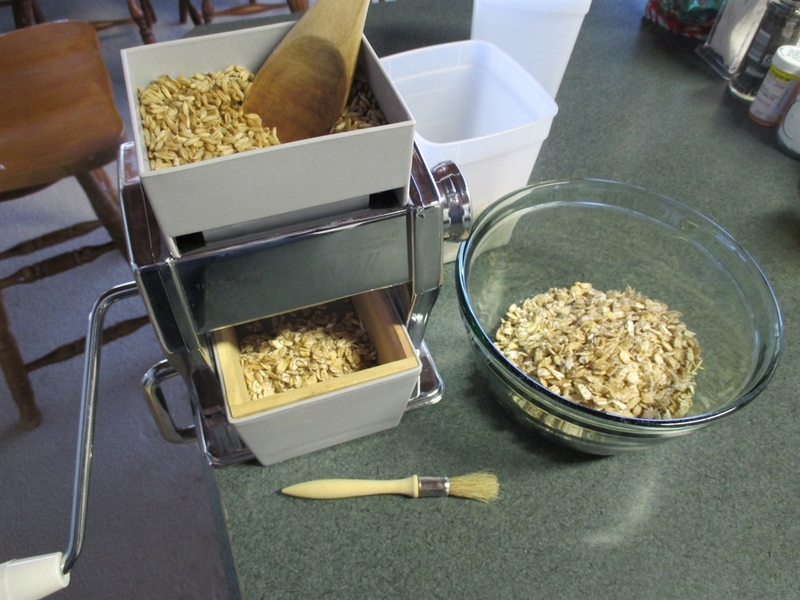 Oats are the highest in protein and the lowest in carbohydrates of all the cereal grains. 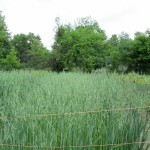 it also produces a large amount of dry biomass for the compost pile. 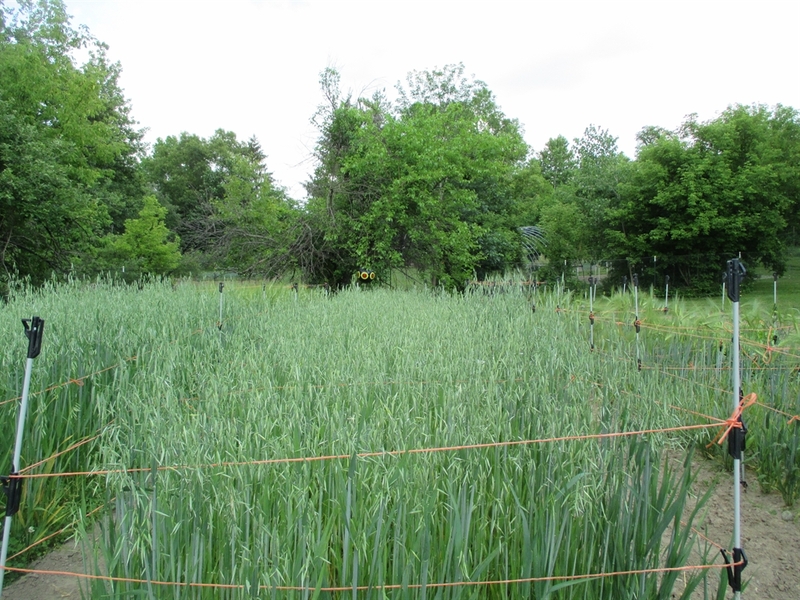 This variety grows around 4′ tall and is benefited by support from a trellis and twine system around the periphery of the bed to discourage lodging. I broadcast the grain onto the beds surface and lightly chop in using a heavy rake. They like more water than most cereal grains and prefer cool growing conditions. 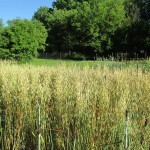 I start my oats in early April and harvest in the middle of July. Spacing for the seed should be approx. 5″ apart. 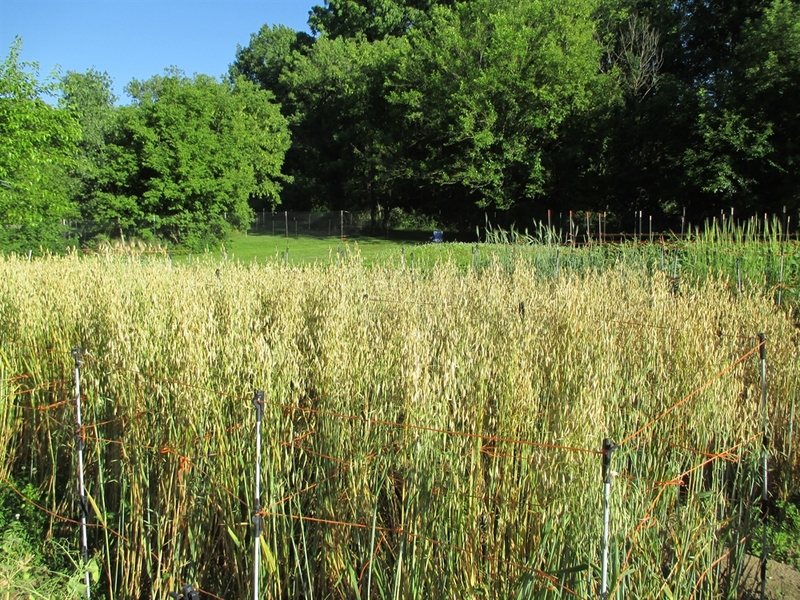 Spring oats will not survive temperatures below 10 degrees F.
Do you have any of the hulless spring oats and bere barley available for purchase? Thanks so much! I will have seed for sale starting mid-November. This is just the right species of oats I was looking for. Are these seeds organic? Do you think it would be possible to grow this naked spring oat in mid-Finland, North Karelia? This is my own seed and I do grow using organic methods. I am not sure how they would do in your region. They are spring planted and mature fairly quickly. Thanks that sounds perfect. I have to figure out my plan for this year, but maybe I will be interested in buying these seeds this year (I will know soon enough). Do you send to Denmark?